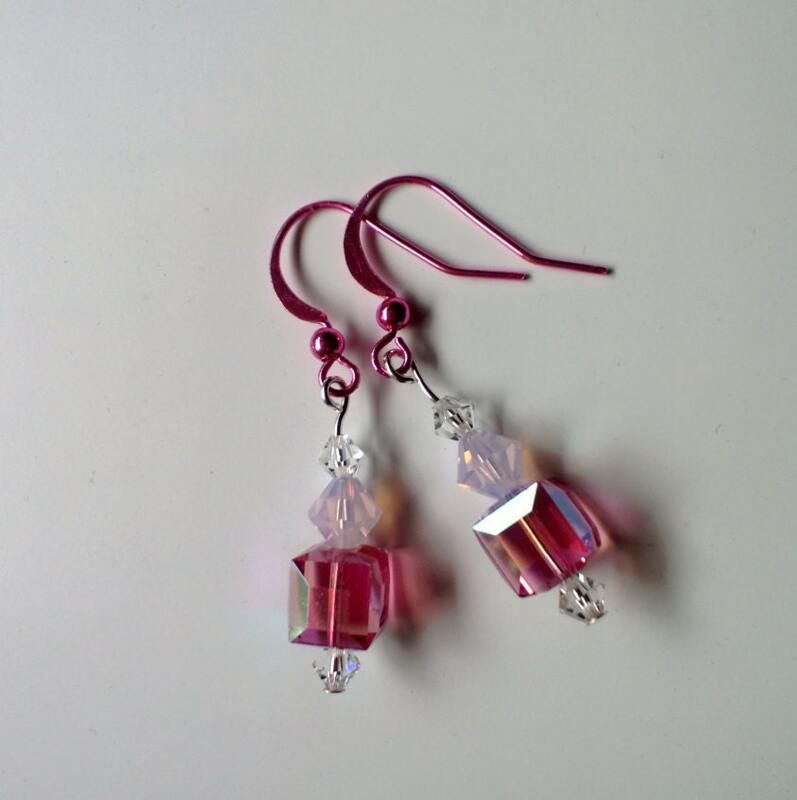 Pretty pink dangle earrings that reflect the light, like only crystal earrings do! So pretty, fun, and easy to wear. The varying shades of pink crystals and ear wire make it sure to match the many shades you may have in your closet! If you wear pink often...these are a sure bet!